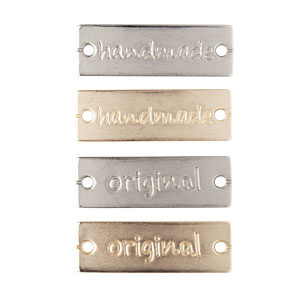 Add a polished, personalized touch to your handmade projects and gifts with these decorative metal labels with engraved words. Useful for a variety of projects, attach with thread or floss using the grooved holes. Available in matte gold finish or matte nickel finish.